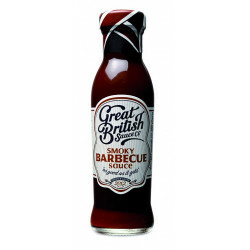 Complement your meats, your potatoes, and your barbecues with this sauce based on tomato, sugar, onions and garlic. The result stressed by a caramel hint. It can be served as a table sauce or marinade base. 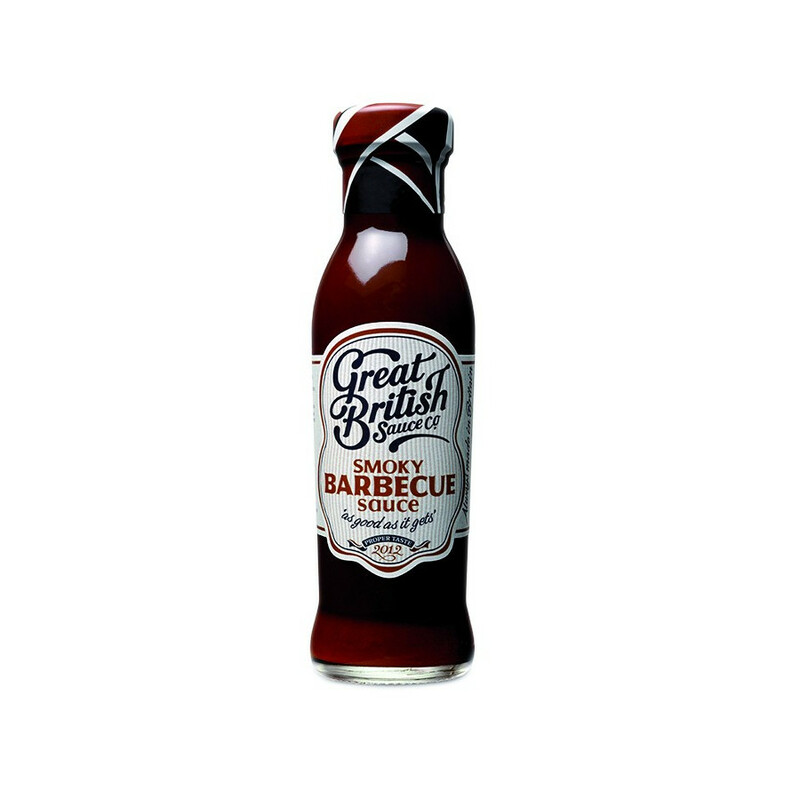 Great British Sauce has been crafting all of its culinary creations in Great-Britain. 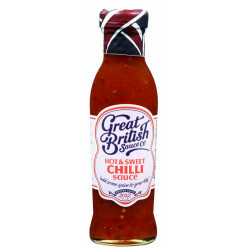 Much more original than the classic tomato sauce, these sauces have a delicious, richly flavoured taste. 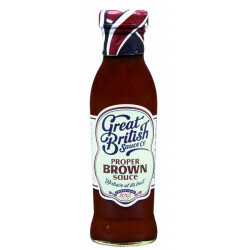 Proud of their multicultural diversity, chefs at Great British Sauce convey these influences through their sauces. Ingredients are carefully chosen and the recipes deliver a rich, savory "homemade" taste. 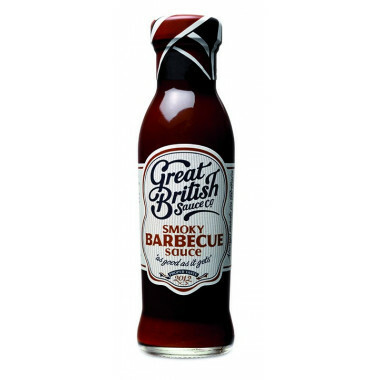 Discover the Great British Sauce range and spice up your meals according to your taste! These sauces are sold in glass jars. 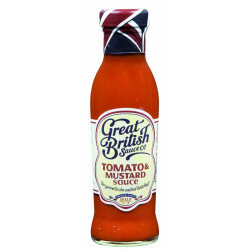 Typically british, this cause is based on tomato, mustard, vinegar, onions. It is slightly spicy, without being too hot. This sauce reveal the tomato aromas and the sweet notes accompagny perfectly with the hot taste of mustard. Discover a nice sweet note at first sigh, then a powerfull hot taste due to red chili. This sauce surprises you ! Ingredients: tomatos (54%), sugar, spirit vinegar, corn starch, salt, colour (plain caramel), onion powder, garlic, smoke flavouring (0.1%), spice. Allergen informations : May contain traces of wheat flour, mustard, soy or celery. Refrigerate after opening and use within 4 weeks.